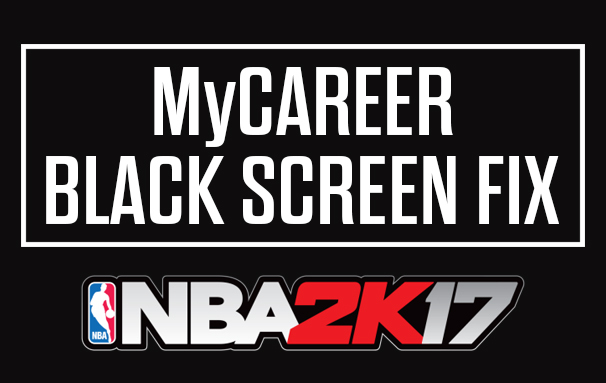 Here is a way of fixing the black screen bug in NBA 2K17 that happens before entering a game in MyCAREER mode. I thought this guide would be helpful for other players who are having the same issue. It came to me right after finishing the regular season. I was about to play my first Playoffs game and suddenly I got stuck in a never-ending black loading screen. I tried re-entering MyCAREER and even restarting the game but neither helped me fix this widely reported issue. Luckily were able to find a workaround through experimentation. Some users have also reported that simply pressing circle button on PS4 or B button on XB1 should fix it. This fix works on the PS4, Xbox One and PC version of NBA 2K17. Now you don't have to completely start a new save file. This tutorial will be here until 2K Sports sorts this one out. Update: 2K Sports has already fixed this bug in Patch 1.04. Do you have other issues? Post in the comments below to let us know what you found.